Orange Beach Alabama waterfront condo for sale at Phoenix on the Bay. Location, Location, Location! 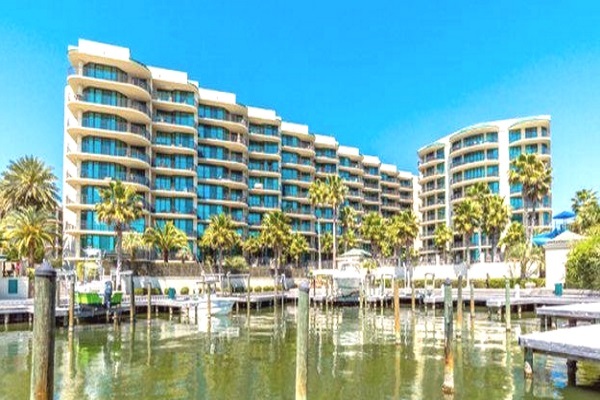 This 3br/3ba condo is in one of the best locations in the tower with fantastic Views of the Bay and Perdido Pass… These condos in this section of the building rarely get listed and when they do usually don’t last long. This condo also comes with Boat Slip #69 that also has a Lift. Tile Throughout, Stainless Steel Appliance’s, Smooth Ceilings, Large Tiled Balcony overlooking pools and Lazy River. Best Amenities on the bay! Lazy river with water slide, multiple outdoor pools, kiddie pool, indoor pool, hot tub, sauna, tennis courts, fitness room, putting green,boat launch, fish cleaning station and BBQ area. This is a must see! Orange Beach is a coastal community situated between Gulf Shores and Perdido Key, and boosts the largest charter-fishing fleet in the Gulf of Mexico. Orange Beach has miles of white-sand beaches and numerous public parks, the inland bays and bayous just north of Perdido Pass provide for ample water-sports and outdoor activities.